"The View" may need a nurse to stop the bleeding, because TMZ has learned 2 major advertisers have cut the cord after the women went off on the nursing profession. 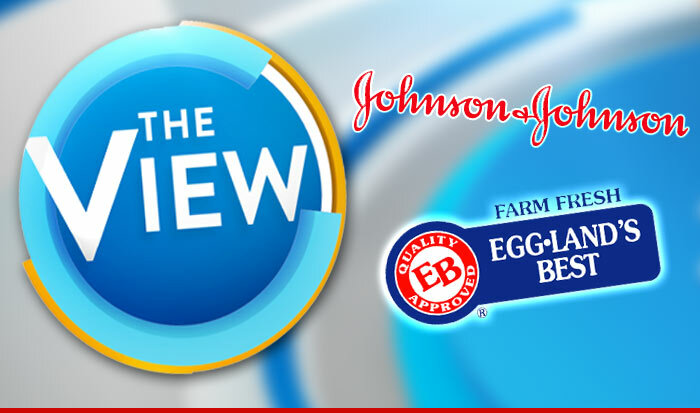 Johnson & Johnson ﻿﻿and Eggland's Best are pulling ads from the ABC show. EB seems to be making things final, saying, "In light of the comments about the profession recently made ... we will no longer be advertising." J&J says they've "paused our advertising accordingly." Co-hosts Michelle Collins and Joy Behar criticized Miss Colorado during the talent portion of the "Miss America" pageant Sunday for wearing her nurse-garb. The two tried to smooth things over with an apology on Wednesday but it looks like the big business wigs weren't buyin' it. We reached out to "The View" for comment ... so far no word back.